Поездка в начальную школу с 10DP — МОШ "Интеграция XXI век"
On Tuesday the 29th of January 2019 the 10DP English B group visited the junior school. They were jurors in the semi-final of the junior school Spelling Bee and taught lessons to the 4th grade. It was a wonderful event. 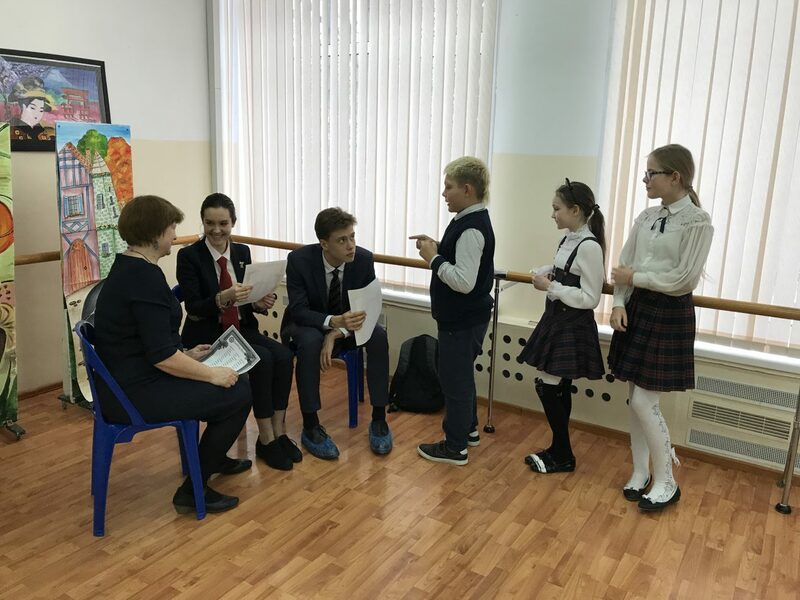 Not only were the younger children excited to be assessed and taught by students from the senior school, but the 10DP class got a taste of being jurors and teaching in English. I found the trip to the junior school rather surprising and I was a bit worried about it. The children were unexpectedly competitive in the Spelling Bee event, and I had one child in my group who even cried after he lost, but the others tried their best to win when spelling the given words. Overall, it was a great experience as we got to try ourselves out as teachers and explore how difficult it actually might be. 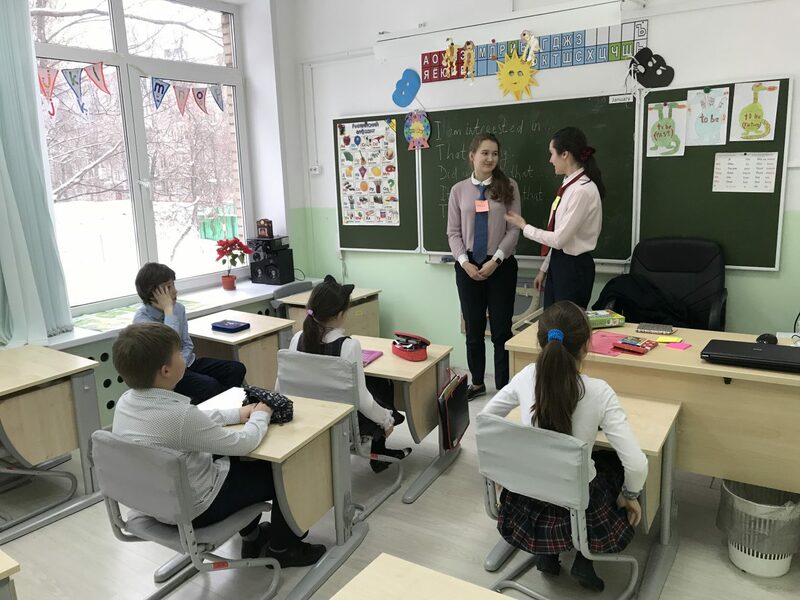 Our recent trip to the junior school gave me an opportunity to practice my oral skills as I was teaching an English class for the 4th graders. It turned out to be rather entertaining because the kids were excited about learning about Queen Elisabeth II and eager to have a conversation. The Spelling Bee contest proved to be an amusing way for kids to develop their vocabulary and challenge themselves in competitive circumstances. 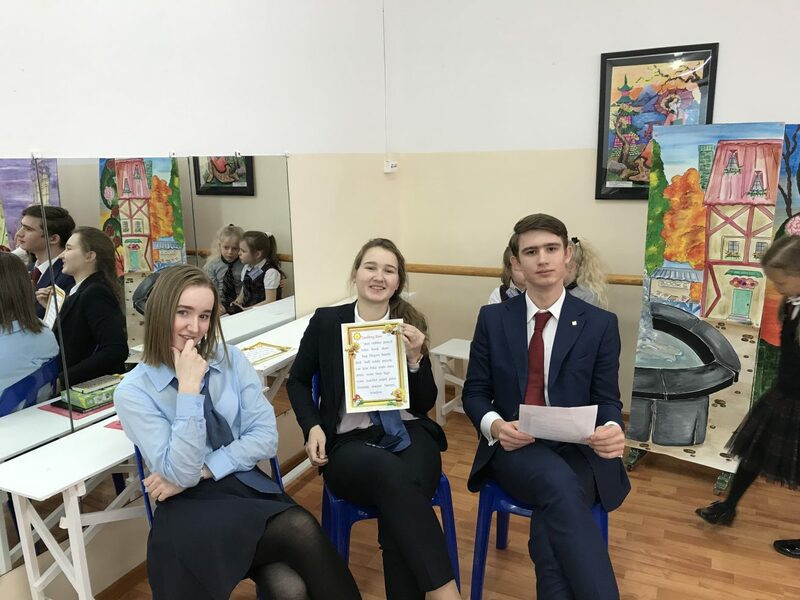 My classmates and I took part in the organization of the ‘Spelling Bee’ competition, which took place in the Primary School. Our responsibility was to judge the semi-final of the contest. Although not all the participants performed brilliantly, some of them showed outstanding results for their age and language learning experience. It was a pleasure to meet such clever children! 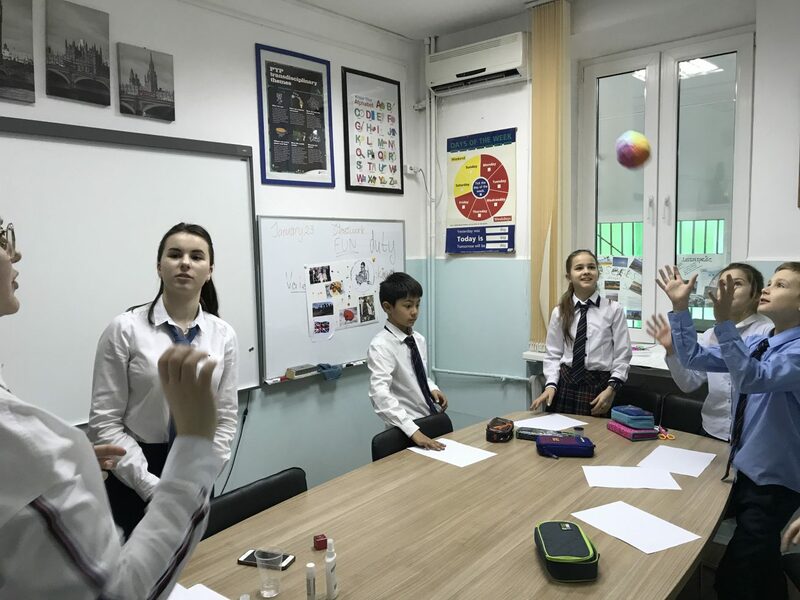 Having taught a lesson at the junior school, I am very thankful for the opportunity to broaden my understanding of the learning process and, of course, to practice my spoken English. 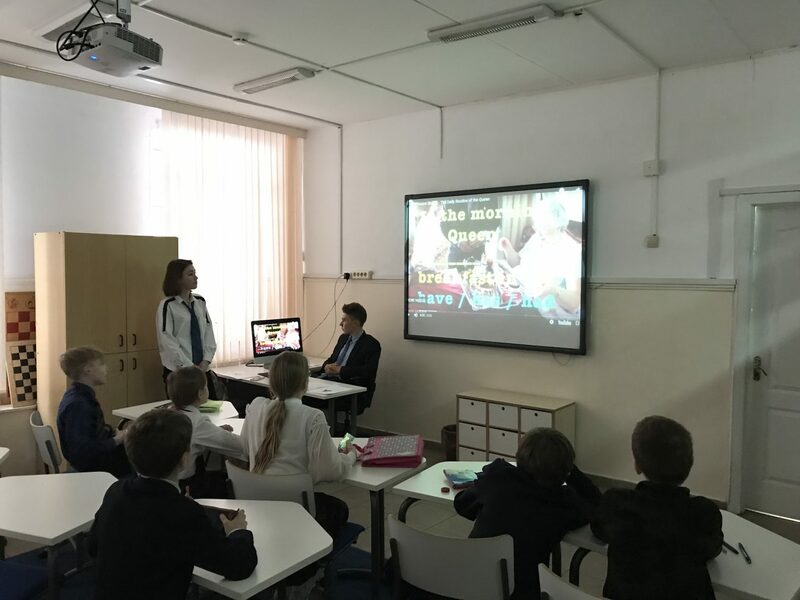 It was not easy to calm the students down and instantly solve occuring conflicts between them, but on the whole I enjoyed communicating with such a smart and creative group of learners! Although only one winner was chosen, I thought all the students prepared very thoroughly for the Spelling Bee competition. They could spell virtually every word. To sum up, this experience was extremely informative for me, as it made me think, why the teacher’s work is so hard! We went to the primary school in order to teach English to the younger students. This trip provided us with valuable experience of communicating with children and dealing with stressful situation, such as comforting those who burst into tears after they lost. This time I only took part in the Spelling Bee contest, so in the future I would like to try giving a lesson or master-class in order to improve my way of interacting with a younger generation. Two days ago we visited the junior school to host the Spelling Bee and to teach an English lesson to the 4th graders. It was a very interesting experience for me, since it was my first time in the role of a teacher. Despite the fact that our group wasn’t very strong in English, we were still able to have fun and to teach the kids some new words. If I had a chance to go to the junior school again, I wouldn’t miss that opportunity! 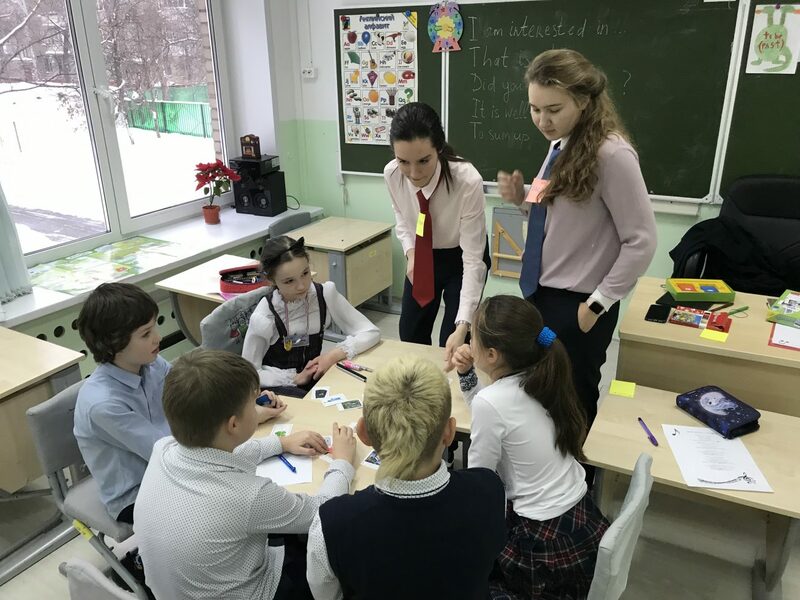 My partner Alexander and I taught an English lesson to the 4th graders in the primary school. Our particular weakness was that we were not as prepared for it as the others, but that also was our main strength. We didn’t have a particular plan so we used all our imagination and improvisation, and, actually, that was the reason of our success. We were having a real unplanned conversation with the students and the kids noticed that and that is why they were not afraid and felt free with us. I think that we did a very good job because the kids told us that they would be very happy to see us as a full time teachers of English. Everything went great. 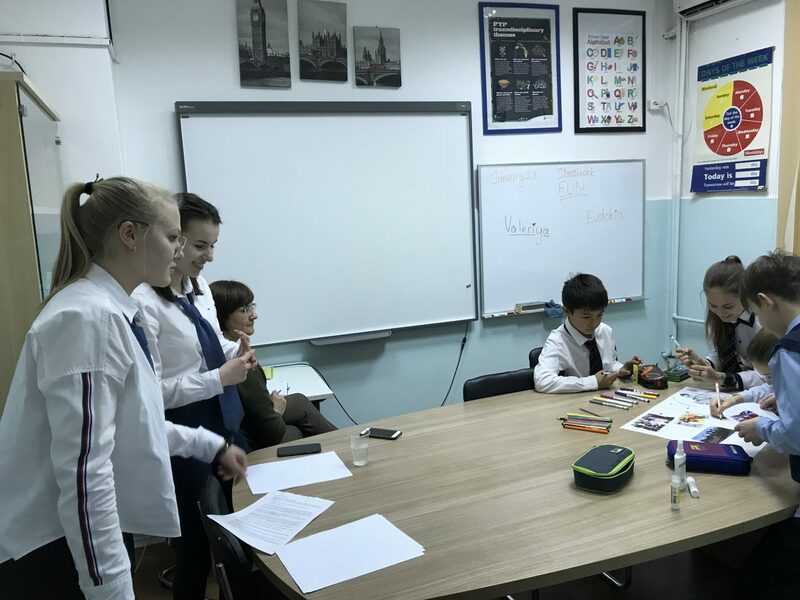 We had a very nice opportunity to try out the role of a teacher and to give an English lesson to the 4th grade students. That was an an unbelievable experience. 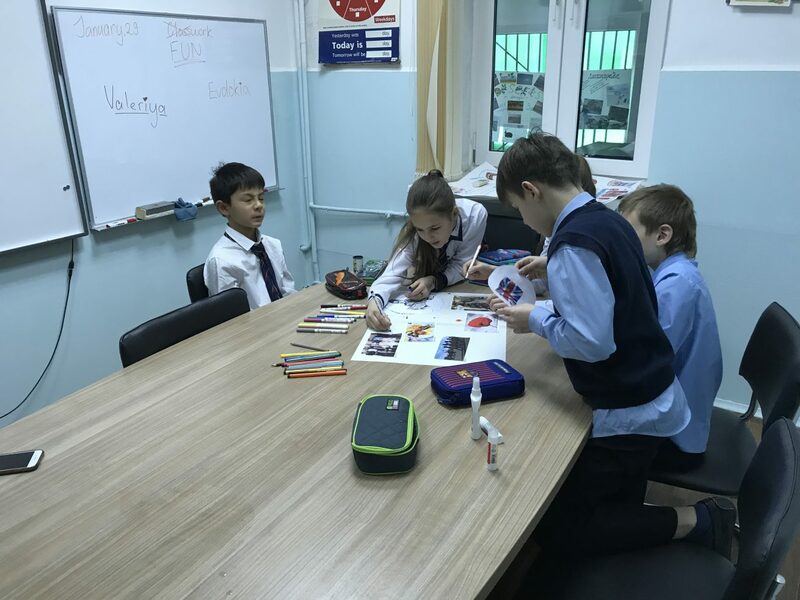 The topic of the lesson was “Traditions and customs of the UK”. To introduce students to this topic we gave them a task to make a poster and to read a text. I really liked working with this class. All of them were very interested and worked very hard. 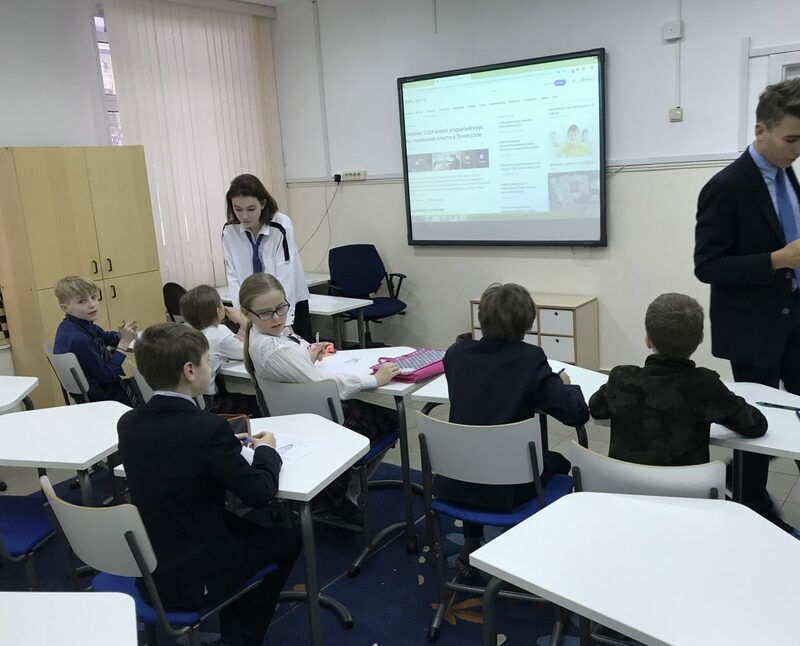 This Tuesday I visited the primary school to teach a lesson of English to the 4th grade students. As I had chosen to be in pair with my classmate to teach a strong group, we had to create very interesting task. 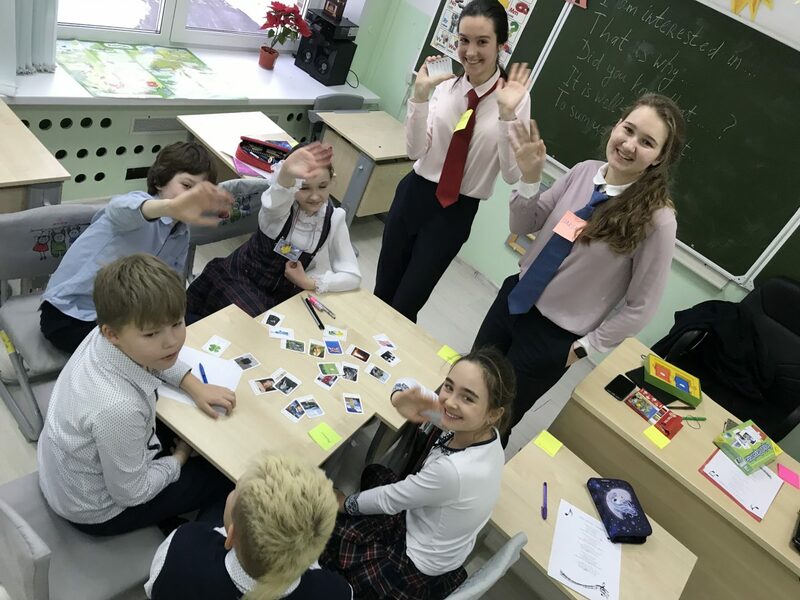 I guess we succeeded in this — we sang a song with students to learn some new words, and then we played a cards game with them. As our main theme was English traditions, this game was a good chance for them to learn about English landmarks and culture. Teaching this lesson was very interesting for me and I look forward to visiting the primary school again.